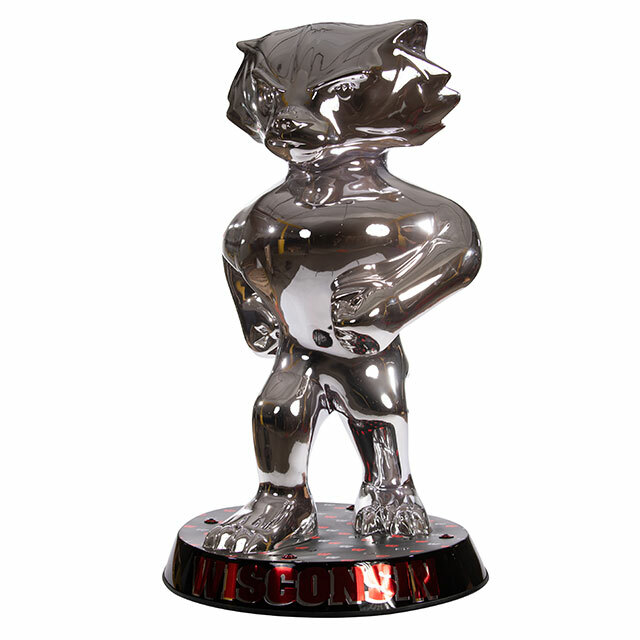 We can all see ourselves in Bucky – literally. 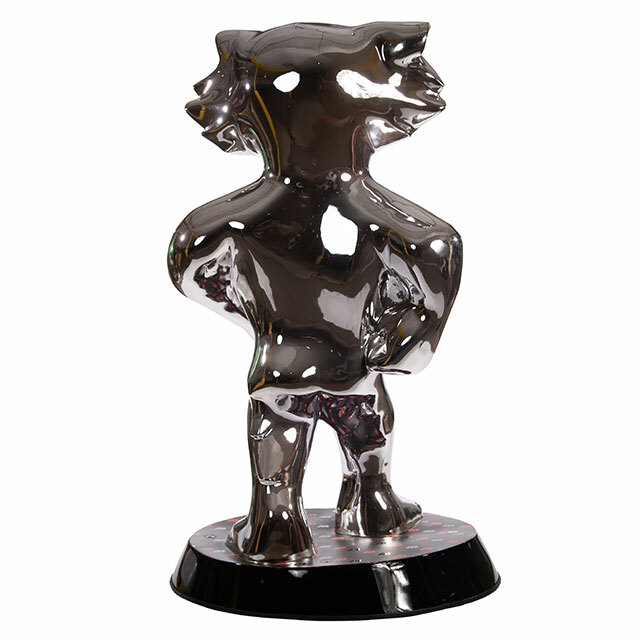 This statue is spray-painted a shiny, chrome color, providing a mirror-like finish. Insane Paint Shop is an automotive customization shop with locations in Menominee, Michigan and near Green Bay, Wisconsin. They used Cosmichrome, a spray chrome paint, to create this stunning piece!